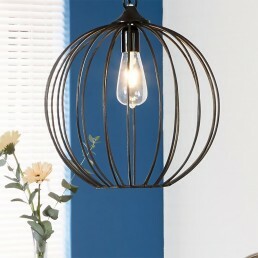 Vintage style industrial & retro lighting for contemporary homes, restaurants and bars. These industrial warehouse style floor, table, wall and ceiling lamps are hand crafted in India from scrap metals and scrap metal components. Unique and quirky, these lights are great addition to the modern or traditional home. Evoking the early 20th century industrial lighting mood, our reproductions of these vintage fittings preserve the classic lines and exposed hardware of the original designs. Our light fittings are reproduction and are designed to look vintage. The antiqued vintage finish is hand produced making each item somewhat original and unique and therefore may vary slightly in colour. CE certified: CE-2161. 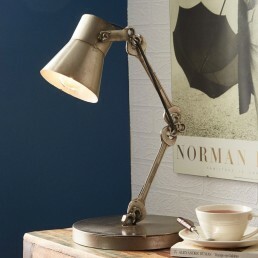 Fashionable industrial style table lamp with a sleek retro design made. The lamp is made from sol.. 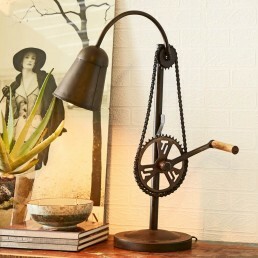 Fashionable industrial style table lamp with a sleek retro design made. The lamp is made from a b..
Old Factory Vintage Pendant Light - Dark Grey Pewter - 12 inch. 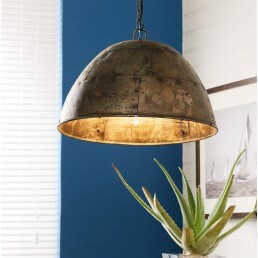 Historically used as factory ..
Brooklyn Vintage Metal Dome Lamp Shade - Dark Pewter & Copper - 13 inch. 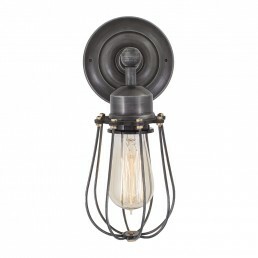 Historically use..
Orlando Vintage Wire Cage Retro Sconce Wall Light in Dark Pewter Finish. 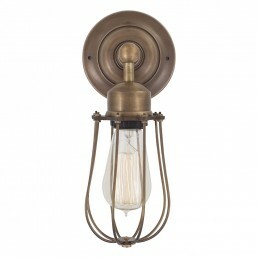 Historically used as..
Orlando Vintage Wire Cage Retro Sconce Wall Light in Brass Finish. Historically used as facto.. 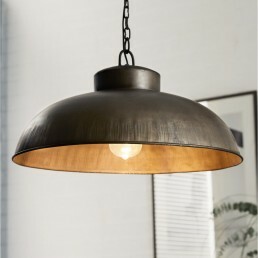 Fashionable industrial style ceiling hanging lamp with a sleek retro design. Cone shape cage made.. 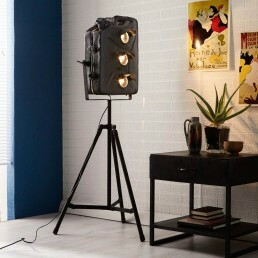 Fashionable industrial style floor lamp with a sleek retro design made. The lamp is made from Bic.. 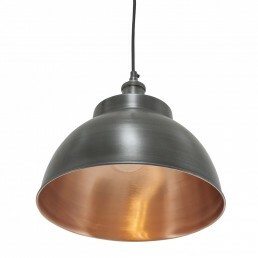 Fashionable industrial style ceiling hanging lamp with a sleek retro design. Bowl shape made from.. 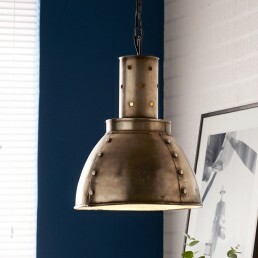 Fashionable industrial style ceiling hanging lamp with a sleek retro design. Round sphere shape c.. 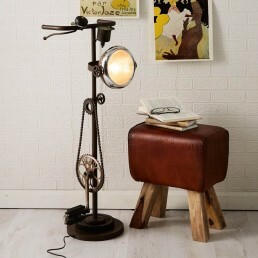 Fashionable industrial style floor lamp with a sleek retro design made. The lamp is made with her.. 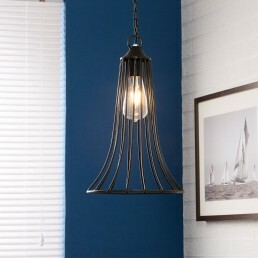 Fashionable industrial style ceiling hanging lamp with a sleek retro design. Galvanized pendant l.. 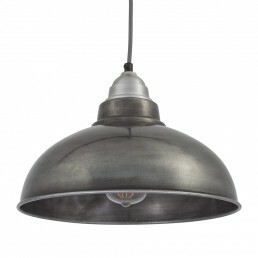 Fashionable industrial style ceiling hanging lamp with a sleek retro design. Ideal for any room i.. 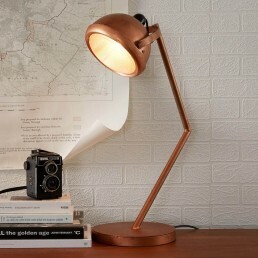 Fashionable industrial style table lamp with a sleek retro design made. The lamp is made with its..